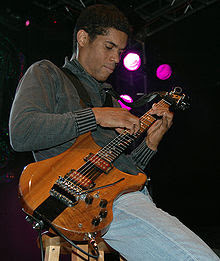 Stanley Jordan, class of ’81, returns to Princeton for one day on June 13th for a solo performance at the Salt Creek Grille at Forrestal Village, benefitting CASA of Mercer County. It will be a unique afternoon of jazz and interesting food and drink, spotlighting the electrifying, Grammy-nominated guitarist renowned for his “touch” or “tap” technique. The benefit will begin at 2 pmand end at about 4:30 pm. There will be gourmet hors d’oeuvres, a carving station, desserts, wine and beer and other (soft) beverages. CASA (Court Appointed Special Advocates) is commonly referred to as the eyes and ears of family court. The organization recruits and trains community volunteers who stand up for abused and neglected kids in Family Court. Tickets are $75 and may be purchased at www.casamercer.org., where a sample of his music is also available. Only 125 tickets will be sold. Call CASA at 609.434.0050 for more information. What are the common and unique needs of women scientists from Princeton? Do you have the tools to stay engaged in your career? . Growing your scientific career and moving to the next level? What are the assumptions, rubrics and measurements at different stages and across industries? Networking and mentoring in science and medicine. How do men and women differ? Imposter Syndrome. Recognizing the syndrome and Overcoming the barriers. Mentoring; recognizing the need and the choice in science and medicine. Join the discussion during reunions Friday May 28, 1-3:30 Lewis Laboratory 003 “Extreme Jobs: Preparing for a career in Science, Before , During, and After Princeton”. Sponsored by the PA3 and the Princeton Graduate School. Join fellow Princeton Area alumni for refreshments at the Nassau Inn's historic Tap Room in downtown Princeton. This group meets every third Thursday of every month. Mark it on your calendars! Contact Lydia Zaininger at lydia@princetonaaa.org for more information. Look for the folks wearing orange and black, and make sure that the serving staff knows you're with the PA3 to take advantage of special discounts. The ceremony will feature Guest Speaker Janet Dickerson, Vice President for Campus Life. To view the detailed invitation, click here.